The Garden to Kindergarten programme that kicked off Friday, 31 August at Afrika Tikkun’s Centre in Orange Farm celebrates the life of Sandi Jacobson. ECD learners launch the Garden to Kindergarten campaign. 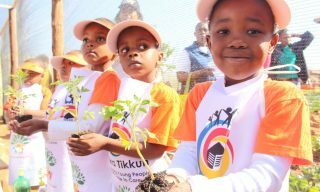 In memory of their dear sister, Steve Jacobson and his sister Val Mardon have begun the Garden to Kindergarten programme and campaign at Afrika Tikkun. It embraces Sandi’s primary passions: growing vegetables and growing young minds and bodies. 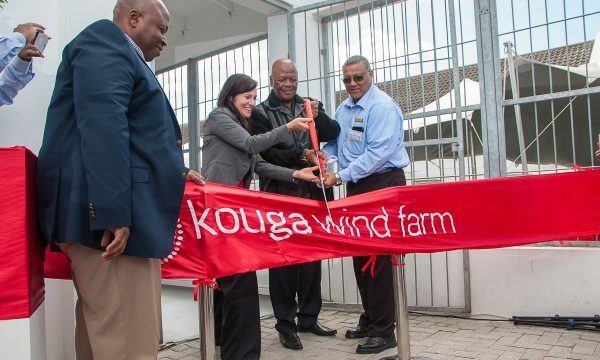 The programme will improve the lives and prospects of very young South Africans by teaching them organic gardening. Sandi Jacobson, aka Millie Khumalo, was born in Durban, South Africa in 1957. There was never much that was conventional about Sandi. At eighteen, she was living in a village called Sekonyela in the Maluti Mountains of Lesotho, working with the local community. It was there that she developed skills in, and a passion for growing vegetables. Her pacifist philosophy was fundamentally challenged in the 1980’s when a number of her close friends were executed by SADF commandos. She joined Umkhonto we Sizwe, the military arm of the ANC and operated in exile till mid-1991. Apart from vegetable-growing and her core convictions on social justice, her other passion was children. She spent five years working in early childhood development. At the age of forty, she finally decided to do something for herself and bought a small organic veggie farm with her husband, Winston and a friend, Steve. Devastatingly, her joy of working with the soil again was short-lived when she was murdered on 31 October 1997. 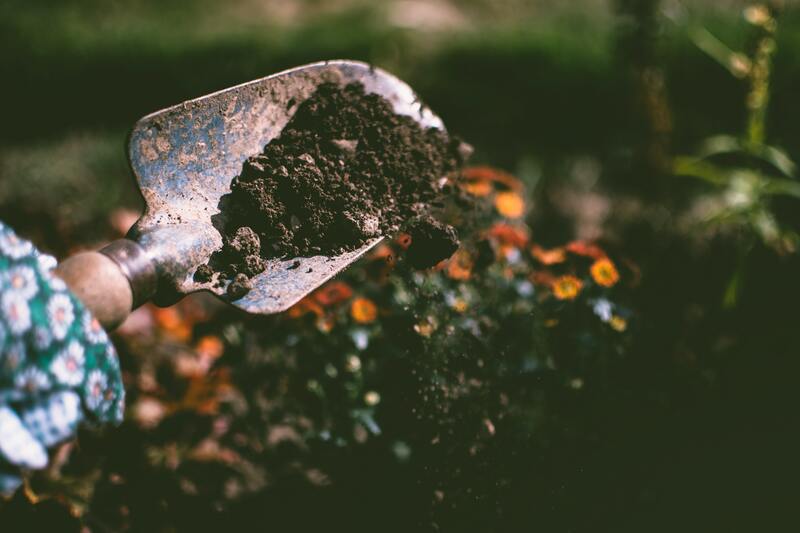 The Garden to Kindergarten programme will see learners aged two to six years in Early Childhood Development (ECD) classes at Arekopaneng Centre in Orange Farm get involved in the garden. They will learn about the importance of the environment, the lifecycle of plants, how that same fresh produce is part of their daily sustenance and about healthy eating in general. The programme is three-pronged. It educates the Grade Rs, their parents and their teachers. At school, teachers are taught how to integrate organic gardening into the curriculum. At home, parents can cultivate gardens with their children so that as they grow up children can develop lifelong abilities in the garden. 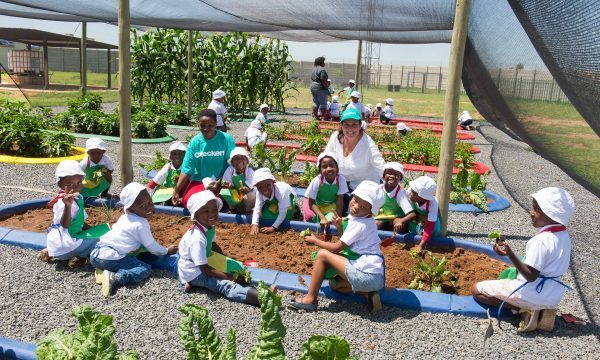 The Jacobson family and Afrika Tikkun have launched the Garden to Kindergarten programme at the Arekopaneng Centre of Excellence in Orange Farm and aim to raise funds to continue the programme indefinitely and roll it out at Afrika Tikkun’s other four Centres of Excellence in Joburg and Cape Town. The official launch of the programme will be held at the Arekopaneng Orange Farm Centre on Thursday, 8 November 2018 with a harvest lunch and tour of the garden with ECD learners and the Jacobson family.